Starting from the mathematics of a car, we are able to design and develop a complete car seal set (car door seals, car window seals, hard top seals etc.) and to manufacture special, dedicated semi-finished products. We offer also self-adhesive profiles used in applications offering poor “hooking” possibilities (e.g. fibreglass items). Please contact us for more information about car seal production. 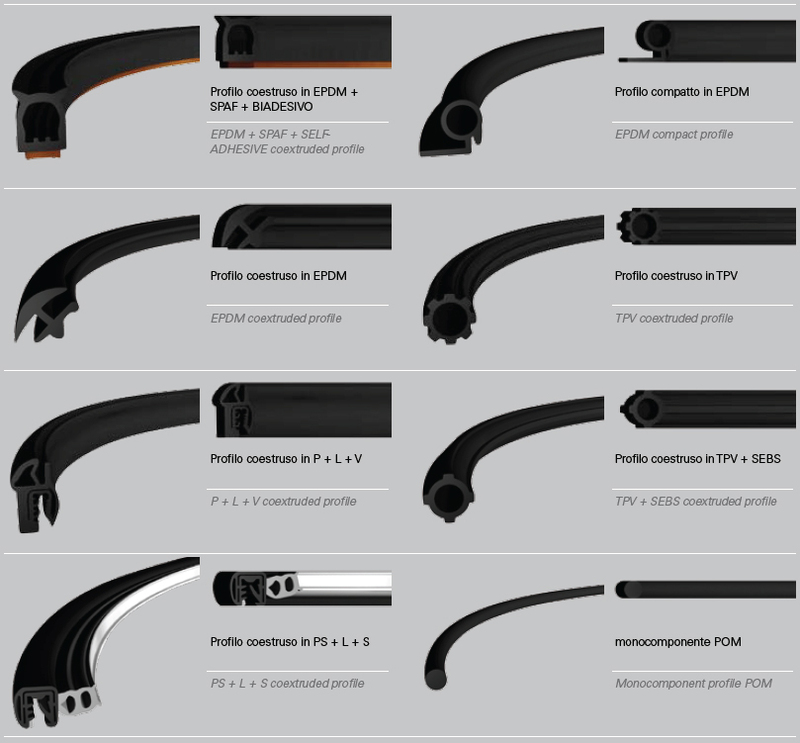 Products shown are not exhaustive of the entire product range, We produce profiles on customer drawing. All the car seals can be supplied with expanded compound with a variable density from 400gr/cm3 to 900gr/cm3 and with compact compound with hardness from 40 to 90 ShA.